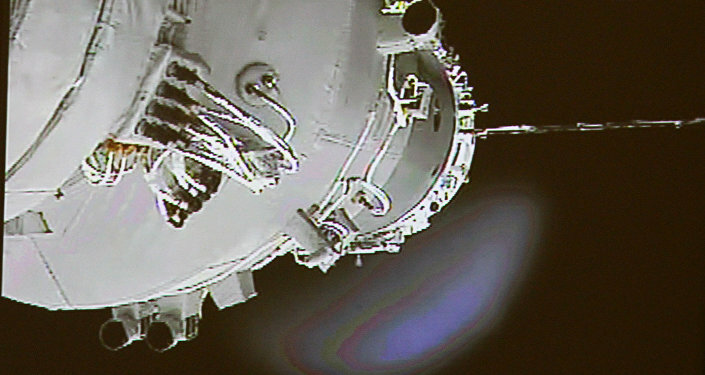 Launched in 2011, China's Tiangong-1 (Celestial Palace 1) space station went rogue in late 2015, and, not responding to commands to boost its orbit, spiraled toward it's inevitable destruction in the atmosphere. As the falling space junk got closer to its death, astronomical observers were able to tighten their prediction window and now the potentially hazardous waste has been said to have entered and burned up in the Earth's atmosphere somewhere east of the southern regions of South America over the Pacific Ocean, although precise coordinates remain unconfirmed. Zooming through the increasingly dense atmosphere as it approached the Earth, the 34-foot satellite's 17,000 mph speed assured its almost complete destruction prior to reaching the ground, although observers noted that several larger chunks of metal potentially containing deadly hydrazine could pose a threat to life on the planet's surface.